World Health Organization says that there are 80 countries with blood donation rates are too low, and 79 of them are in developing countries. 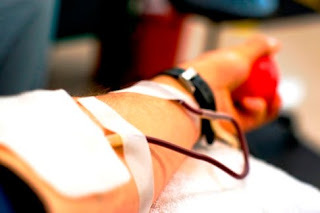 According to UN health agency, people throughout the world makes 93 million blood donations every year. But 1 percent of the population of a country has to give blood to meet the basic needs of the transfusion. Approximately half of the global blood donations are collected in developed countries, where only 16 % of the world’s population. The basic aim of this is to encourage more people to become blood donors. The focus of this year is that young people donate and recruit other youth to do so.